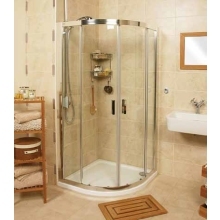 For corner shower installations, quadrant shower enclosures are by far one of the most popular solutions. 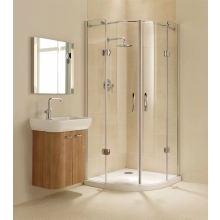 With many types and sizes available, this style of shower door will work perfectly in countless different styles of bathroom. 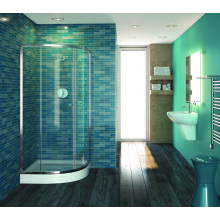 This style of door is perfect for those who wish to make their bathroom more stylish, but not take up any extra room. 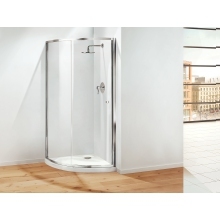 Our range of quadrant shower enclosures come in an array of different sizes (800mm, 850mm, 900mm, 950mm and 1200mm) from recognized brands such as Coram and Roman. 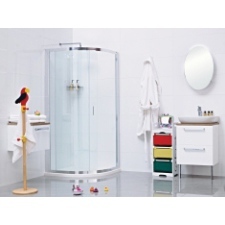 They also feature various glass treatments to allow for easier cleaning and the prevention of limescale build up (this is particularly beneficial in hard water areas).